Lisa Lund provides corporations Webinars, Presentations and Lectures based on Gottman Research for building successful business relationships. A Couple’s Place Counseling Center offers online webinars and trainings for business helping employees strengthen both their work and home relationships. Ms. Lund is available through-out the state and country. In this engaging and interactive training, employees will get an inside look into Gottman's Relationship and Family Laboratory (a.k.a. "The Love Lab"), and will learn about the Seven Principles for Making Relationships Work. As we move through each level of the house, employees will gain insight on how to build a strong "emotional bank account" in their relationships that will help them recover from everyday irritability, regrettable comments or temporary emotional distance. In this Manage Conflict exercise you will learn to repair an argument or fight. In this exercise you will take turns and follow six steps to help you have a second conversation that is better than the argument you had. This tools is a powerful one that can be applied to any relationship. In the research on long term committed relationships some relationship conflicts were solvable and some where perpetual. That was true for all couples. Perpetual differences have to do with fundamental differences that don't change much over time. Happy couples learn to dialogue about their perpetual differences while unhappy couples get gridlocked. In The Dream Within Conflict exercise you will learn how to dialogue with a perpetual problem in a positive way that builds understanding and compassion. Research studies consistently show that while compensation is important, it is not the most sited reason employees give for loving their jobs. Instead, employees most often site trusting the people they work with, having pride in their work and enjoying the people they work with as being essential factors of a great work environment. This means that good work relationships make for happy employees. Learn the Gottman research-based steps to strengthening relationships, managing conflict and supporting dreams and aspirations so that you can provide a work environment your employees will say is a great one! 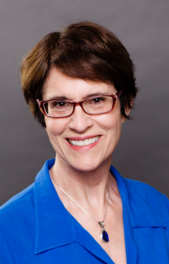 Lisa is a Senior Certified Gottman Counselor and Workshop Leader directly trained by Drs. John and Julie Gottman. She utilizes the research-based approach of Gottman trainings and exercises combined with structured rehabilitation methodologies to help employers improve the interpersonal dynamics and communication of workers and managers alike. The Webinars are similar to our Lectures covering a single topic and are 50 minutes in length. A question & answer session also follows the presentation. The webinar is supported by an accompanying power-point slide presentation that is provided to company IT personnel prior to the event. The webinar format typically provides workers greater access to the presentation material including “work-at-home” employees and can be licensed to permit recording of the webinar for later review. Subjects can be selected to cover both home or work relationships.